"Change the way you camp forever with our No-See-Um No More Hammock Bliss - an ideal hammock when pesky insects are a problem. The no-see-um netting offers the utmost in protection as even the tiniest creatures can't get in. 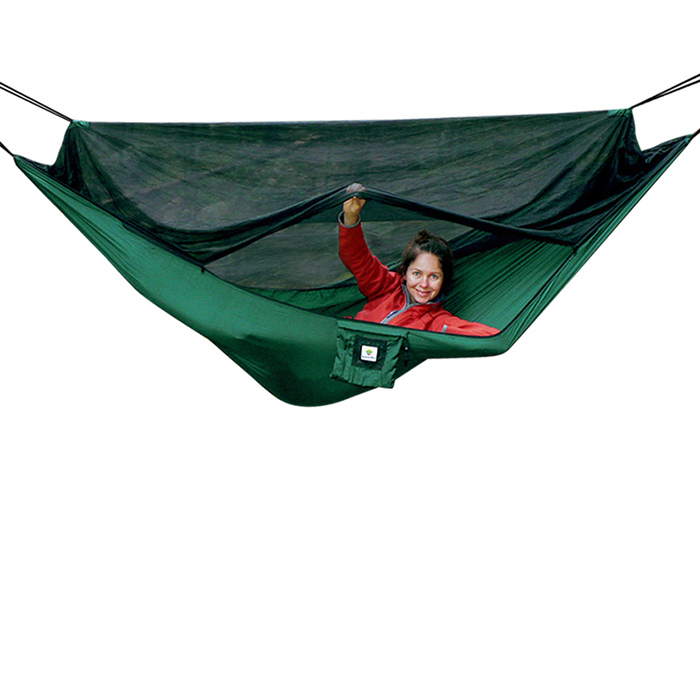 This hammock is also completely reversible just flip it over as needed. Hang the XL Rain Fly above your hammock and kiss your tent goodbye. Lay back, let go and relax in bug free bliss.